Players are warming up for Tuesday's Max Capital City Classic at Montgomery's Riverwalk Stadium. MONTGOMERY, AL (WSFA) - The 11th annual MAX Capital City Classic is back at Montgomery’s Riverwalk Stadium. The non-conference match-up between Alabama and Auburn is always an exciting one but has heavily favored the Tigers for the last decade. Auburn has won four straight in the yearly series and has taken the last 9 out of 10. Alabama's only win in the last 10 years came back in 2014. The Crimson Tide are playing under Brad Bohannon who is in his second year as head skipper. They have a 19-6 record overall so far this season and are coming off a tough home series against Arkansas. Offensively, former Alabama football player Keith Holcombe leads the baseball team with 25 RBI on the year so far. Bohannon will have true freshman Tyler Ras on the mound to get things going. 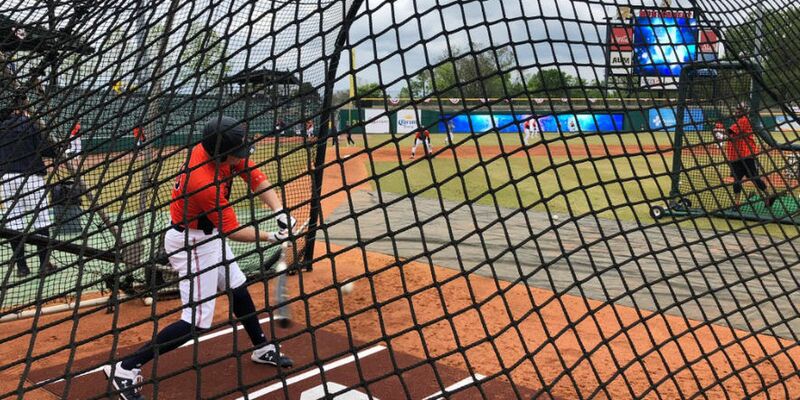 Butch Thompson is entering his 4th season as the Auburn baseball head coach and narrowly missed Omaha last season after falling in the NCAA Super Regionals. This past weekend the Auburn Tigers saw a 15-game win streak snapped by the 4th ranked Mississippi Bulldogs on the road. Their hot start made them only the third team in program history to get the year started 20-2. After dropping the series at Mississippi State, the 12th ranked Tigers will have a sense of urgency when meeting up with the Tide on Tuesday. Alabama and Auburn last met on the diamond April 20-21, 2018, where the Crimson Tide suffered a weekend sweep by the Tigers. Former Auburn running back Kerryon Johnson and former Alabama linebacker Mack Wilson will throw out the ceremonial first pitches. First pitch for the game is set for 6:05 p.m.